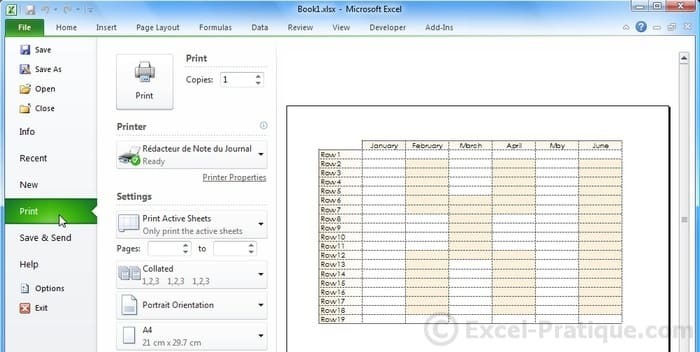 To print a document quickly, click on "File" and then "Print". 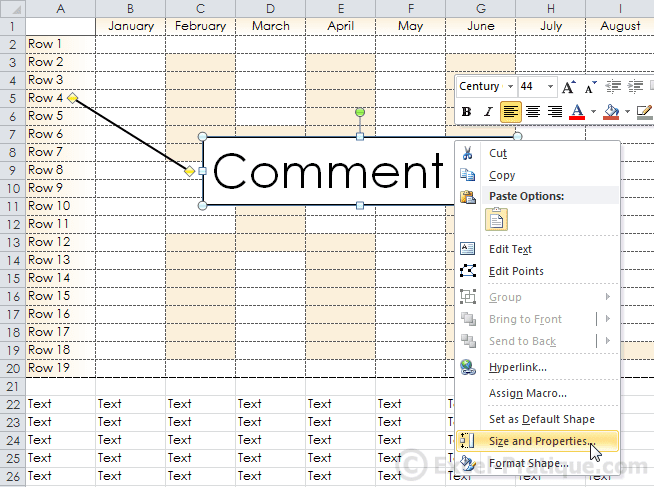 If your document is in landscape format, change its orientation. 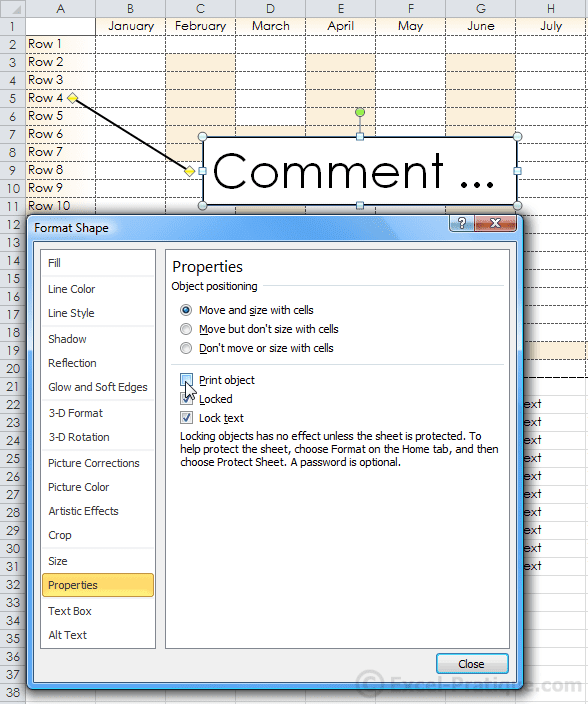 If necessary, edit the margins and/or use the adjustment options. 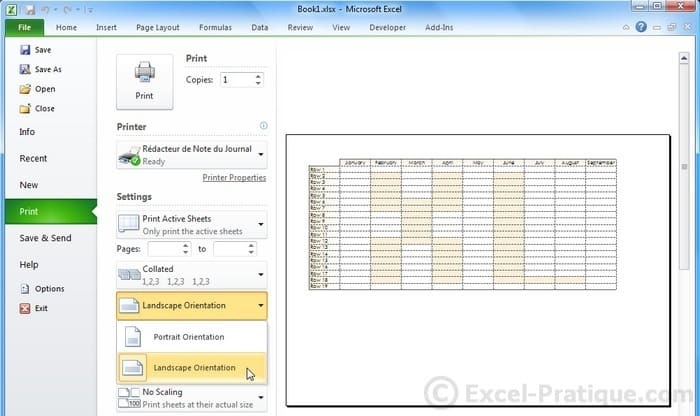 Whenever you click on a button that is related to printing/page layout, Excel will display the boundaries of the print area for each page. 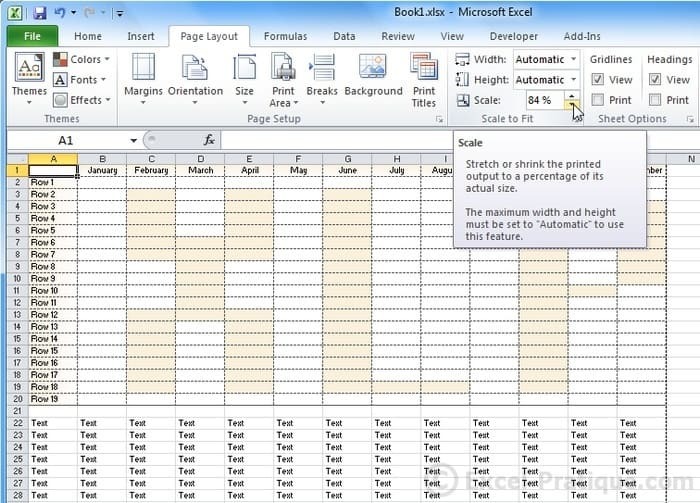 This time, edit the "Scale" option (or the margins) to fit the whole table on the page. 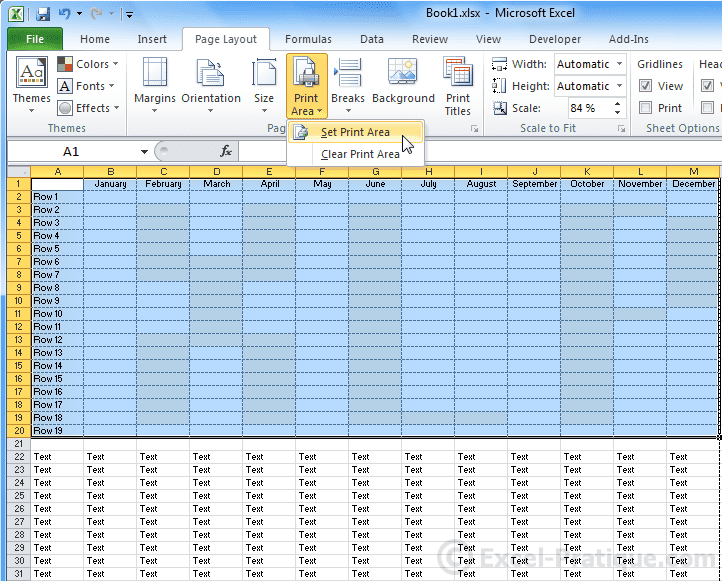 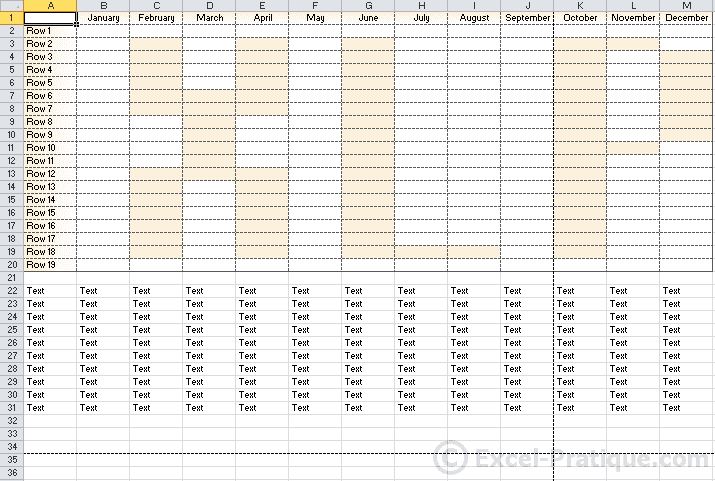 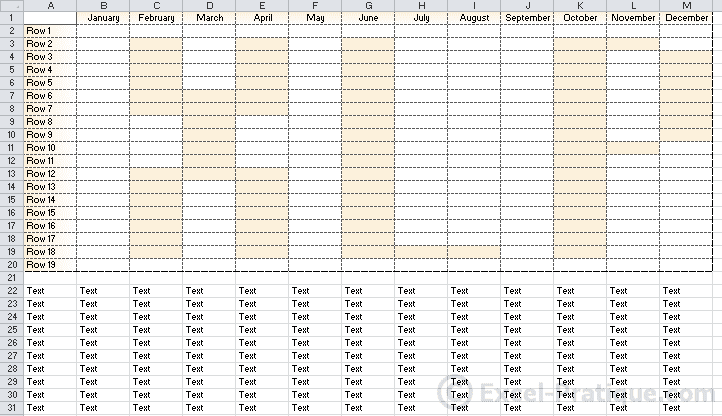 To print only the table (without the text below), select the table and click on "Print Area" and then on "Set Print Area". 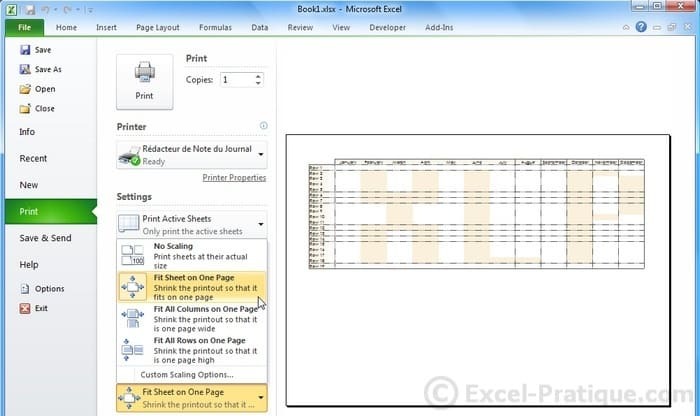 Only the table will be printed.